We already know Facebook is losing among Generation Z, the generation after millennials that prefers Snapchat and Instagram. Marketing and retail experts pinpointed seven other sectors and businesses that are sure to struggle once these teens come of age. "Generally, members of Generation Z are tech-savvy, pragmatic, open-minded, individualistic but also socially responsible," An Hodgson, Income and Expenditure Manager at Euromonitor International, told Business Insider. Ishan Goel, a 19-year-old marketing strategist with the Mark Cuban Companies, said it's "not cool" for his fellow Gen Zers to be on Facebook. For today's teens, Facebook is just a tool for group chats or keeping up with parents.  "People aren't wanting to post stuff consistently," Goel told Business Insider. Gen Z are those born roughly from 1995 to 2010. This current cohort of teens is on track to kill Facebook, as Business Insider's Mark Abadi reported. Only 9% of teens say Facebook is their preferred social media platform. Gen Z prefers Snapchat and Instagram, while older millennials are the biggest chunk of Facebook's users.  "Because Gen Zers are individualistic and value their privacy, they prefer anonymous social media like Snapchat, Secret, and Whisper rather than Facebook," An Hodgson, Income and Expenditure Manager at Euromonitor International, told Business Insider. Millennials have already reportedly killed bar soap, diamonds, and napkins. Here's what's on Gen Z's hit list. Refined classic brands, like Ralph Lauren and Vineyards Vines, currently command a record low in the teen market, according to investment bank and asset management firm Piper Jaffray. Since 2001, these refined classic brands have had an average of 14% market share. Now they have just 5%. Ralph Lauren is taking one of the biggest hits, according to the report. They were in the top 10 brands for males since 2002, but lost their standing in 2018. Filling the gap are streetwear brands like Adidas, Vans, and Supreme. Bobby Calise, director of business development at youth insights firm Ypulse, told Business Insider that JCPenney and Macy's have high brand awareness among Gen Z, but they're more likely to shop at Forever 21, American Eagle, and other youth-centric fashion brands. "The data is clear on one thing: neither brand is 'cool' in the eyes of Gen Z — and cool is a pretty important form of currency if you're in the business of selling clothes to teenagers," Calise said. Goel said Gen Z perceives these stores like JCPenney, Sears, and KMart as lacking quality and a voice. "When was the last time you bragged about shopping at JCPenney?" Goel said. Gen Z prefers to order online from companies with strong digital branding, said Tiffany Zhong, CEO of youth marketing firm Zebra Intelligence. Many understand how to find manufacturers online, where they buy products directly for a lower cost. "No one watches cable TV anymore," Goel said. More than 60% of teens said they would rather watch 10 hours of YouTube videos than 10 hours of television, according to a 2017 survey of teens. Gen Zers said in the survey that online videos are best for learning or laughing, while they prefer cable TV for "watching with family" or "keeping up with what's going on in the world." Perhaps most revealing: A third of surveyed teens feel cable TV is best for "falling asleep." In case you live under a rock and didn't hear, print media consumption is declining. Gen Zers tend to prefer the convenience of opening their phones or e-readers to enjoy a book, Goel and Zhong said. This latest generation is not alone; nearly 70 million e-books were sold in 2010, compared to 266 million last year. "I can pull out my online book at Starbucks, which beats Barnes and Noble," Goel said. Unlike previous generations, Gen Zs have little nostalgia related to opening up a newspaper. They tend to get their news from social media instead, according to a study by Response Media reported by AdWeek. "We can find everything online," Zhong told Business Insider. "And for free." Almost 10% of millennials use Pandora. But just 6% of Gen Z said they use Pandora, according to a study by consulting firm Fluent. Generation z prefers Apple Music, Spotify, and YouTube Red more than any other generation. "Growing up during the global financial crisis, Gen Zers are realistic and mindful of financial issues and future career from a younger age," Hodgson told Business Insider. Gen Zers are more likely to opt for trends that they can show off on social media, but not necessarily ones that are the most expensive. The fashion trends that AwesomenessTV highlighted in their report were mostly ones that pop on social media — space buns, pins and t-shirts with political sentiments, and sparkly make-up. As Business Insider's Mallory Schlossberg wrote in 2016, "Luxury items — the kind that you can 'wear forever' — do not serve as much of a purpose on social media."